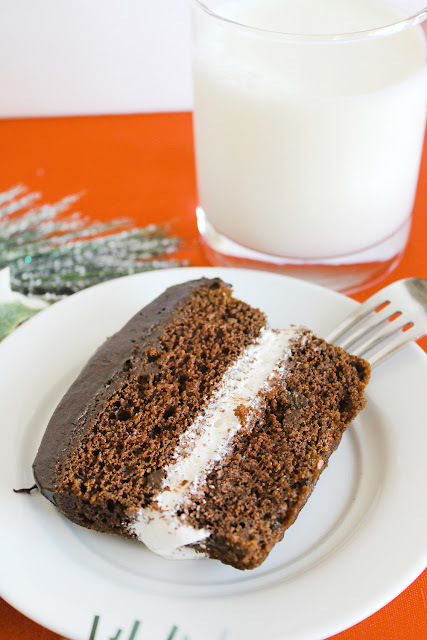 With Thanksgiving in just a few days, I thought I would show those of you still looking for a dessert to serve just how to make this super-simple and quick cake. 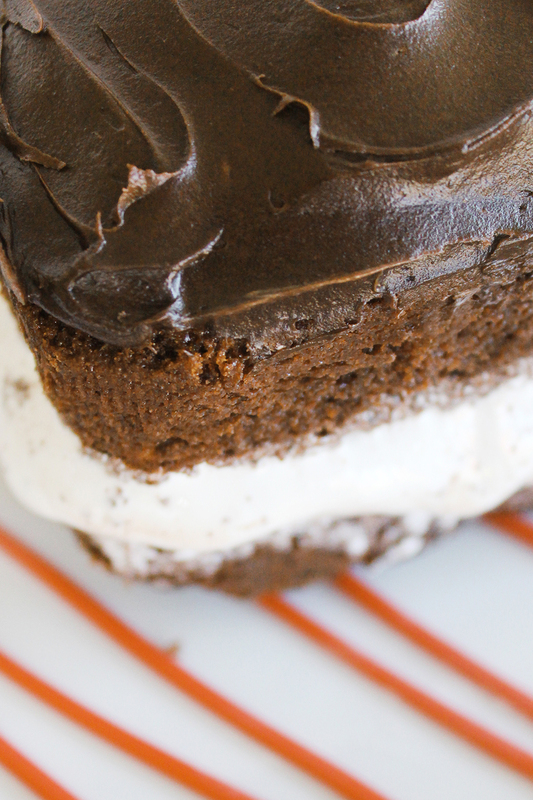 My easy Mississippi Mud Cake is shortcut-tastic but totally tastes like you spent hours making it. It only requires 4 ingredients that can be thrown together for a tasty variation on the uber-popular pie. If you're not familiar with the Mississippi Mud pie, it's filled with chocolate fudge, marshmallow, and whipped cream for an incredibly rich, decadent pie. 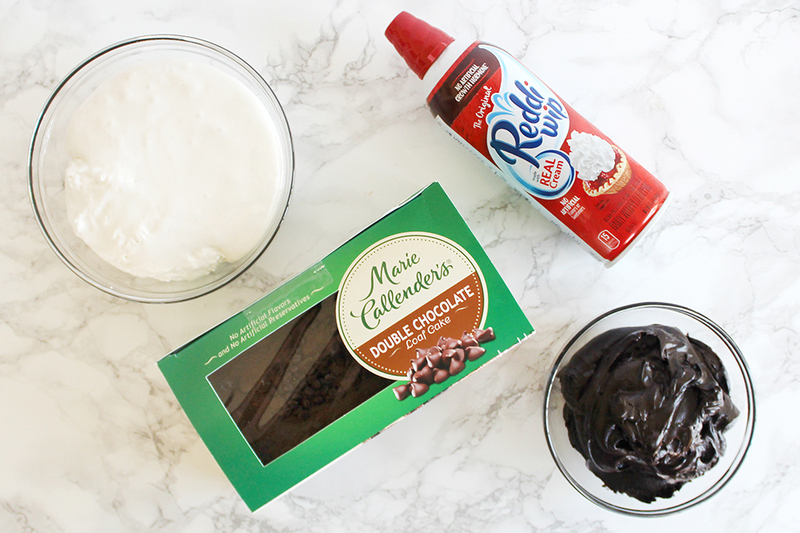 This Mississippi Mud Cake starts with a Marie Callender’s® Double Chocolate Chip Loaf Cake (yes, chocolate cake filled with chocolate chips! 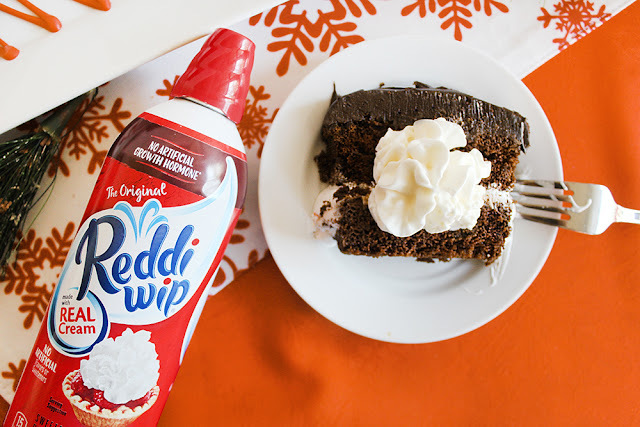 ), is filled with marshmallow creme, iced with a dark chocolate fudge frosting, and topped with a dollop of Reddi-Wip® Real Whipped Cream. 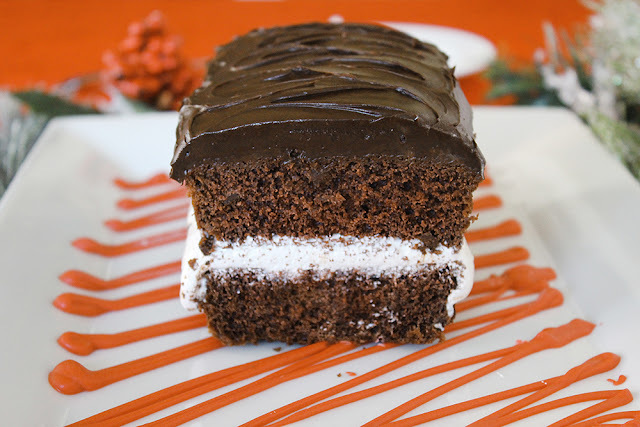 You may not have time for a completely homemade dessert this Thanksgiving, but that doesn't mean it can't taste homemade. 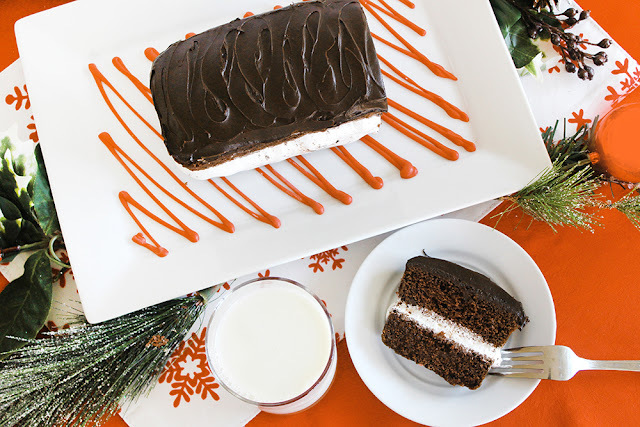 Marie Callender's Loaf Cakes come in four bakery-inspired flavors that are made from scratch with delicious, wholesome ingredients. They're ready-to-heat and eat, from the freezer to the oven to the table in 30 minutes. Easy-peasy! 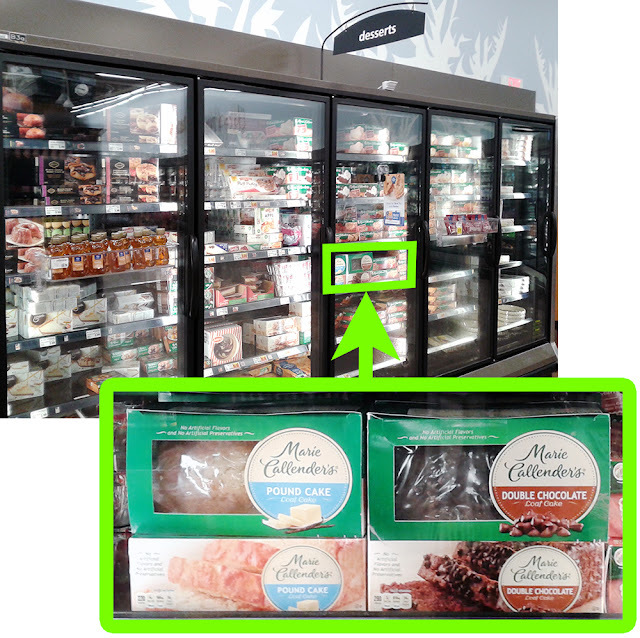 You can find Marie Callender's Loaf Cakes at your local Kroger store in the frozen desserts section. Click on the photo below to Save $1.00 Now on Marie Callender’s. Offer valid 11/14/17 - 12/30/17. Don't forget the perfect partner for your delicious treat: Reddi-Wip. Unlike non-dairy frozen toppings that are made with oils, it's made with real cream. 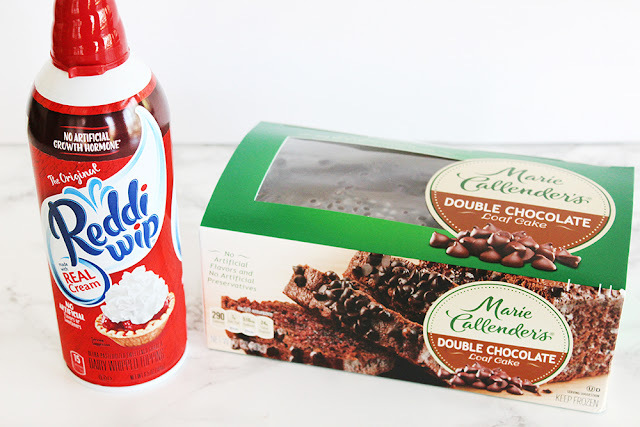 At 15 calories per serving, it's also indulgent without the guilt. 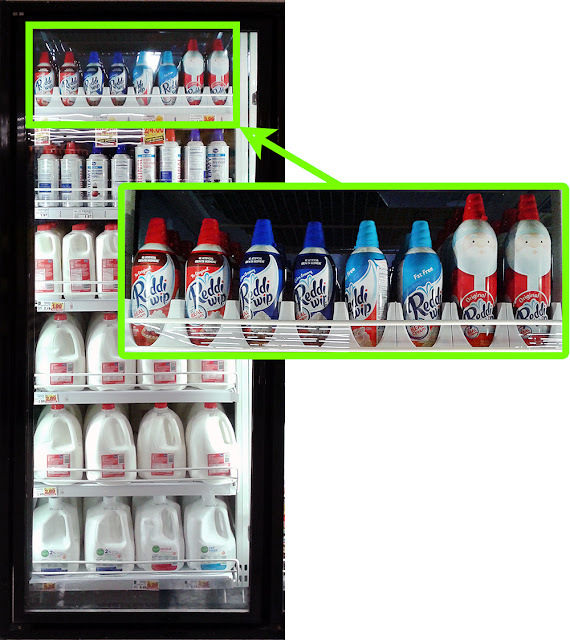 You can find Reddi-Wip in the dairy case. Click the photo below to Save $.50 Now on Reddi-Wip! Offer valid 11/17/17 - 12/30/17. Now let's make this bad boy. 1. Remove the completely thawed loaf cake from the packaging and cut in half horizontally. 2. 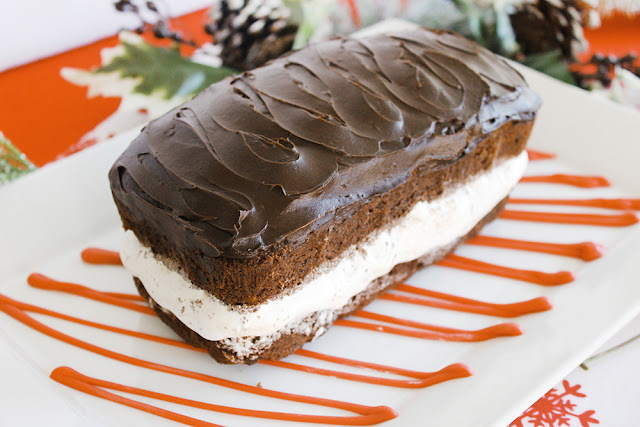 Place a sheet of wax paper or parchment paper into the loaf pan and fit the bottom half of the cake back into it. 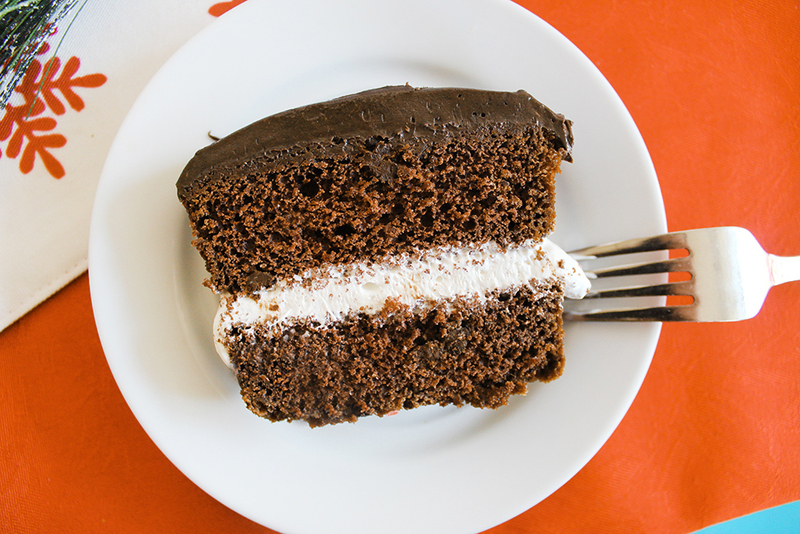 Cover with the marshmallow creme and the top half of the cake. 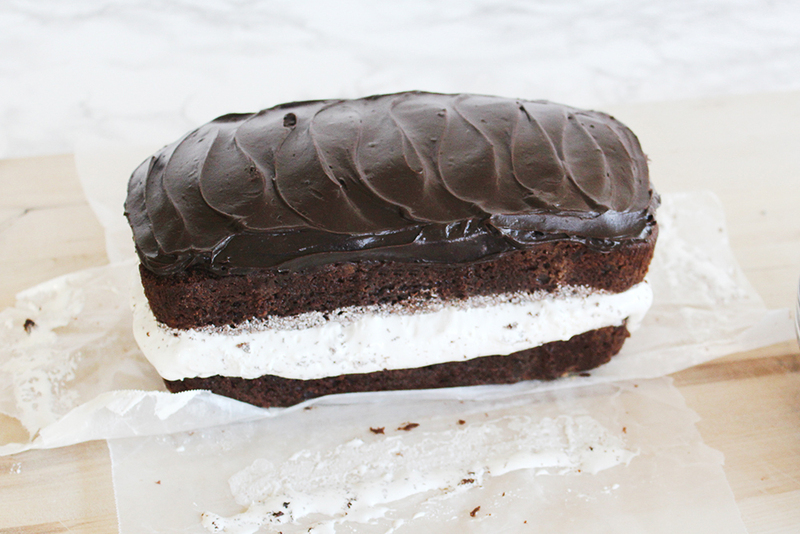 Refrigerate for around 30 minutes. 3. 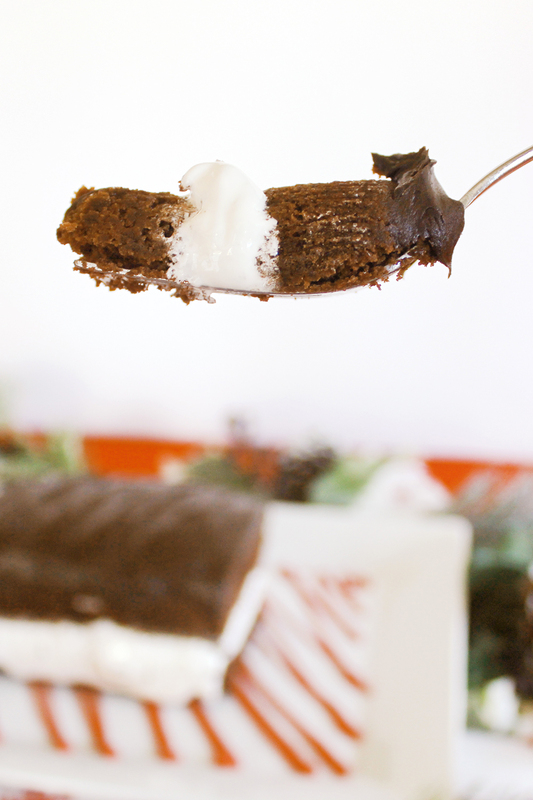 Pull the cake out of the pan, peel down the parchment paper, and frost the top with a thick layer of the dark chocolate fudge. That's it! You're all done. 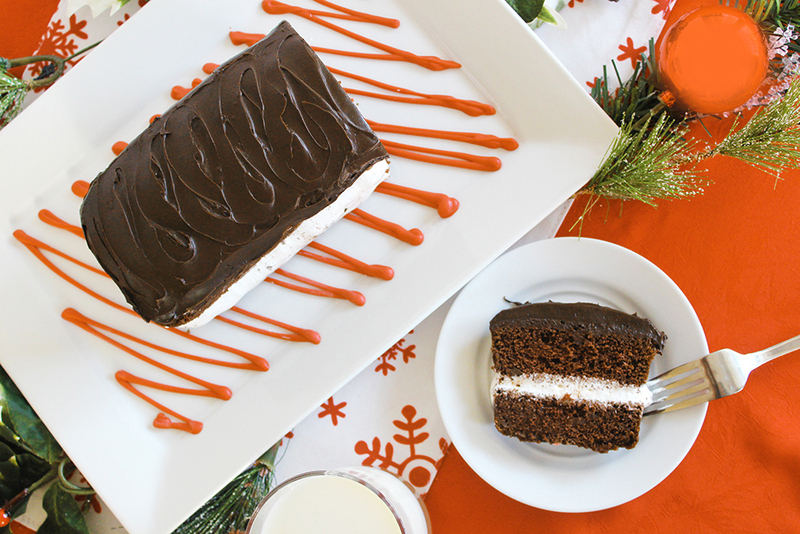 Place it on a serving plate and you're ready for a dessert to remember. I used a drizzle of colored candy melts to decorate my dish and make it a bit more festive for Thanksgiving. 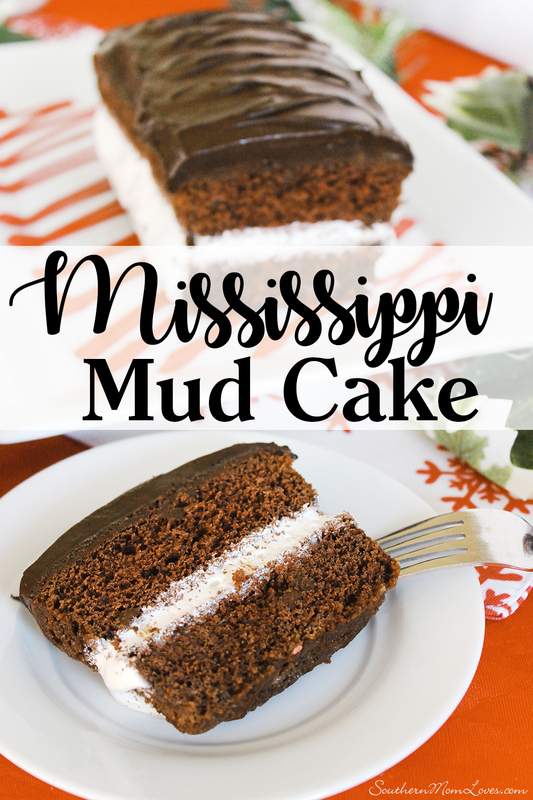 Have you ever tasted a Mississippi Mud dessert? 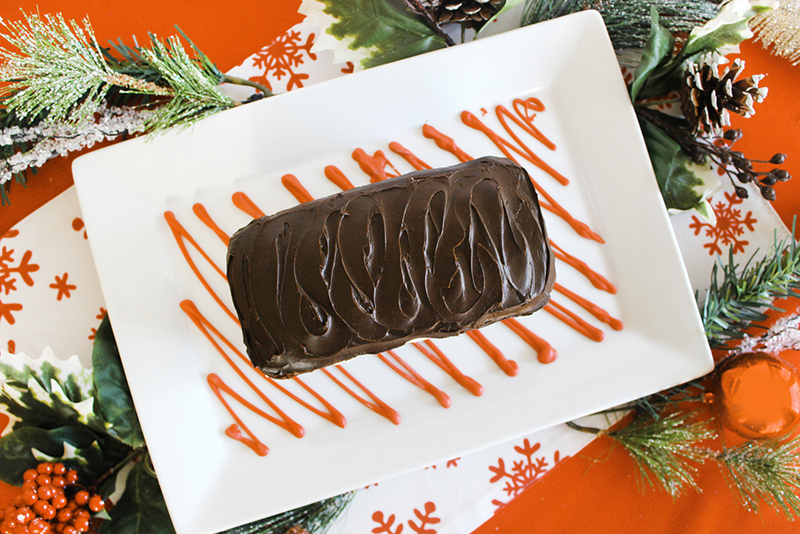 Are you a fan of deep, dark chocolate? Let me know in the comments!